LBC hosts UAV DACH e.V. From November 28 to 29, the Ludwig Bölkow Campus and Airbus Defence and Space hosted the more than 50 participants of the 50th general meeting of the association UAV DACH. 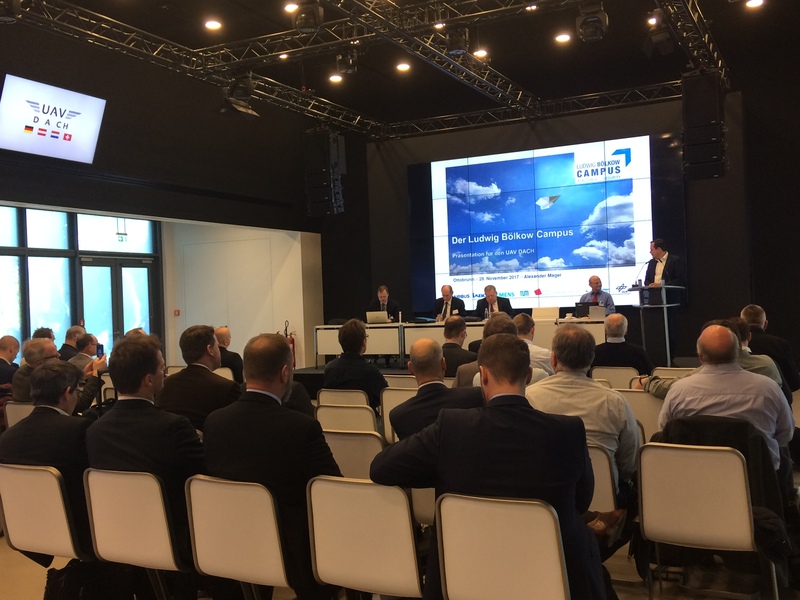 The association represents the interests of the unmanned aviation in Europe. Thanks to its contacts in industry and politics and due to the expertise of its members and associated companies, UAV DACH supports the evolution of regulations and legislation at national and international level. 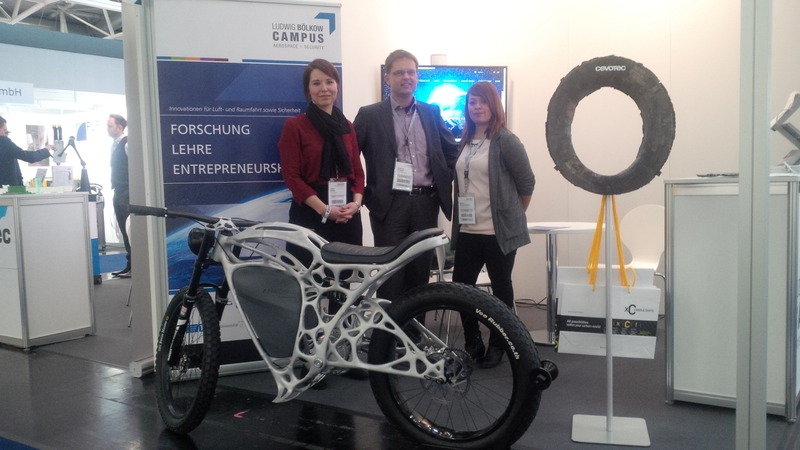 From November 20 to 22, the Ludwig Bölkow Campus exhibited at the new trade show for the aerospace supply industry "expoAIR" in Munich. Due to its presence, the LBC did establish for start-ups some promising contacts with companies active in the CFRP and 3D printing business. The LBC exhibited under the joint booth of bavAIRia association. On November 1, LBC has warmly welcomed „Cloud Ararat GmbH“ (www.cloudararat.com), the latest start-up company joining the campus. The young company recently moved its headquarters from Atlanta, USA to Munich. In addition to profound expertise in the growing market of “Cloud Computing”, Cloud Ararat develops complex solutions for the mission planning, UAV operations and data management of commercial drone services. On October 27, Testia welcomed several partners of the Ludwig Bölkow Campus to present their NDT (non-destructive testing) capabilities and to inaugurate their new 300 kV High-End Computed Tomography system. The so called "Get-Togethers" take place every 2 months with changing locations and serve the networking on campus.